If a picture is worth 1,000 words, then this photograph likely says a lot about the anxiety many in the collector car world have when it comes to shipping a vehicle across an ocean. If a picture is worth 1,000 words, then the photograph adjacent to these words likely says a lot about the anxiety many in the collector car world have when it comes to shipping a vehicle across an ocean. OK, so the photo merely shows a couple of cars coming off a ferry that took them — safely, we should note — across a river during Bespoke Rallies’ Great Amazon Adventure rally in 2015. But hopefully you get the point: You have bought or sold a cherished collector vehicle but it needs to reach another continent and that means crossing an ocean. You can fly your vehicle across the Atlantic or Pacific, though that can be pretty pricey, or you can, quite literally, ship it. “We try to make it as simple as possible to get a vehicle overseas,” said Dmitriy Shibarshin, marketing director for West Coast Shipping, a family owned company that last year sent nearly 6,000 collector vehicles across the oceans, by water and by air. West Coast Shipping has been in business for 30 years. At first, it primarily exported salvage vehicles from the U.S. to Asia, where they were repaired and put back onto the road. 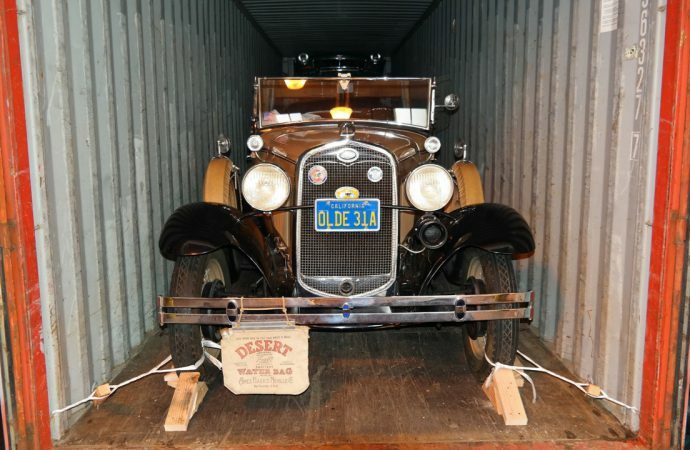 But the company, located on San Francisco Bay in Richmond, California, shifted its business plan a decade ago to specialize in shipping classic and collector vehicles. Although each car may undergo a custom process, there is a typical flow. A car owner contacts West Coast Shipping. “We pick up the vehicles anywhere in the United States,” Shibarshin said. Or the customer can deliver the car in person to either of the company’s secure facilities — one in northern California, the other on the East Coast. Cars are loaded into a shipping container, a process that often requires constructing a wooden framework to make sure the vehicle won’t be damaged during transit. Sometimes, a couple of cars may share a container. “We know what we’re going and how to avoid things that can happen,” Shibarshin said of the steps taken to keep a vehicle from being damaged should the ship encounter a storm or unusually rough seas. As noted on the company’s website, the company uses enclosed transportation within the U.S.; provides 24-hour security at its storage facilities; offers full-car covers including floors, seats and wheels; uses high-security sealed containers for shipping; offers photo documentation of every step of a vehicle’s journey, including a customer’s ability to track shipments online; and has a history of shipping high-value cargo from multi-million dollar cars to aircraft, even submarines. At the moment, the basic cost for shipping a vehicle from the West Coast to Europe is around $1,300, but that’s for the shipping. The price does not include any overseas custom duties, though West Coast Shipping “works with trusted agents” at overseas ports to unload and deliver vehicles and to help with dealing with foreign customs regulations. “The price is low right now because of overcapacity on the ships,” Shibarshin said. And with the dollar strong, many cars are being purchased by Americans and shipped to the U.S.
“We also do that,” Shibarshin said. Of course, sometimes things happen that the company cannot control. “Usually, when shipping out of the U.S., customs is not so tough,” Shibarshin said. However, he added, recently a customer sold a 1979 Porsche 911 to a European buyer and West Coast Shipping was contracted to do the shipping and delivery. The car was readied for shipping, but first it had to have its paperwork certified and the car verified by U.S. customs officials at the port. 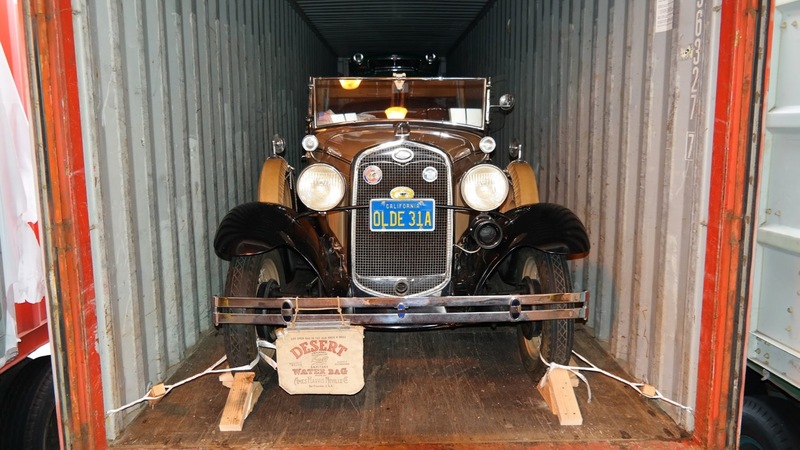 During that process, customs officials discovered that the car had been stolen three decades earlier. The car’s owner didn’t know the car’s sordid history. Nonetheless, the car was confiscated and all the shipping company could do was to offer sympathy to the seller.